This single flight helical G-Fin is a main focal point of the reception area. 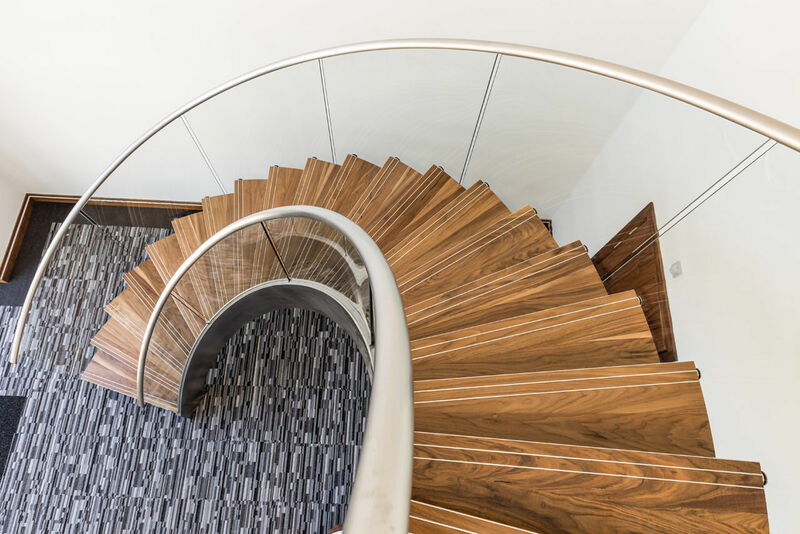 Our G-Fin system uses toughened glass risers and aluminium extrusions to allow light to flood through while still maintaining the strength across the stair. 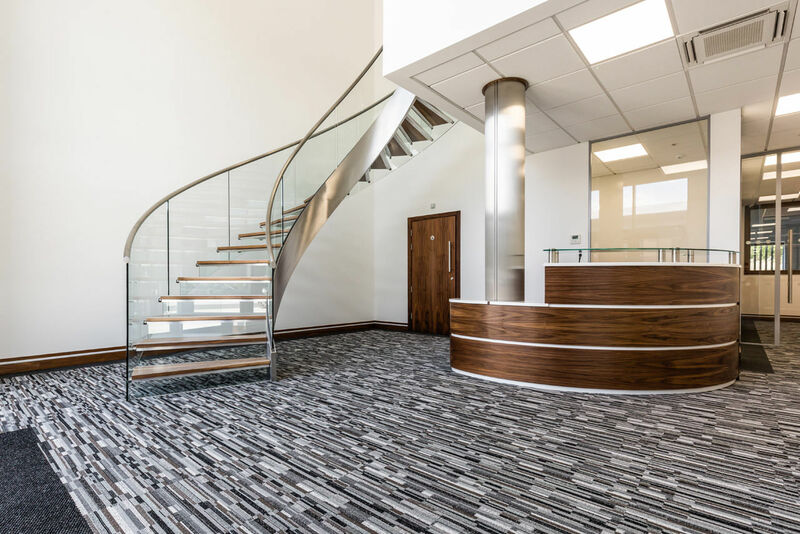 The solid Walnut treads match the main reception desk and internal doors and stand out from the rest of the office. 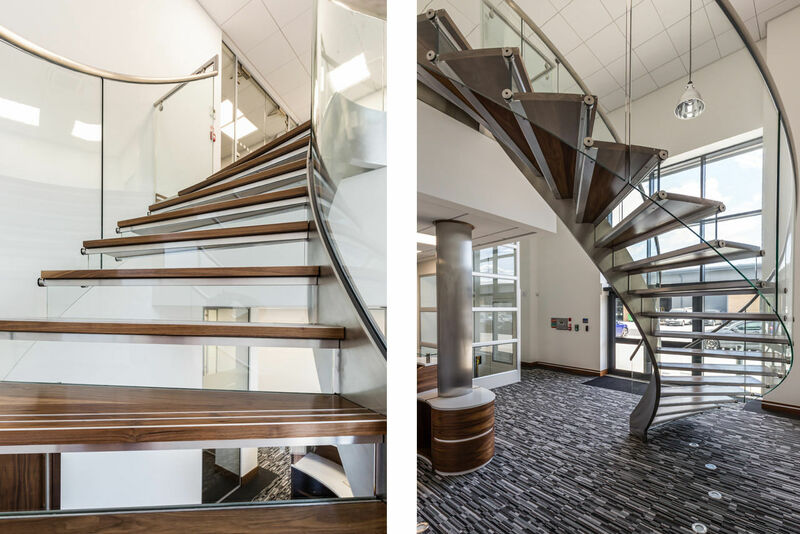 Upstairs we have incorporated our ‘HeLux’ lighting system into the handrail, illuminating the toughened glass balustrading.